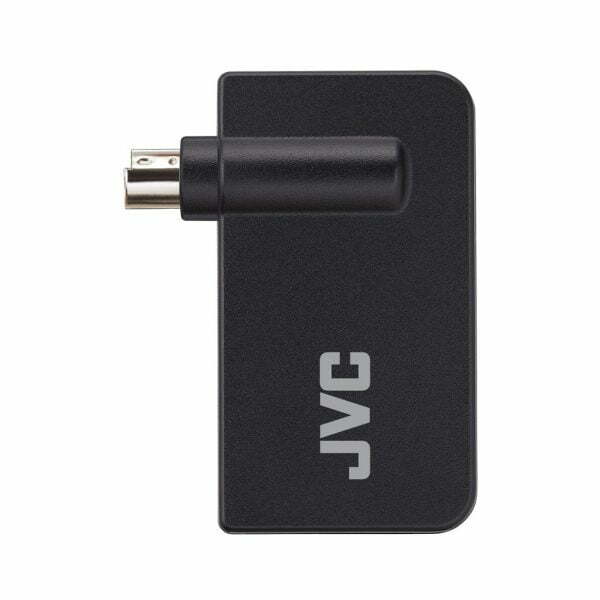 This JVC PK-EM2 RF (Radio Frequency) 3D Synchro Emitter is compatible with JVC 3D projectors and the JVC PK-AG3 RF 3D Rechargeable Active Shutter Glasses. The emitter is very easily installed by plugging directly into the back of the projector, and setup with compatible glasses is a breeze. The emitter features a 30 foot range in any direction (unblocked) and will not interfere with other RF-utilizing devices, allowing for seamless and accurate 3D experiences using your home theater setup.